This box set was a promo for the European tour of '81. In an auction in 2014 it was said it was only made for Norway and 500 copies were made. This copy contained a beer can (empty) with sticker and the box itself was signed on the inside of the box. The content in these boxes varies, apparently Bronze tended to put in whatever was lying around. 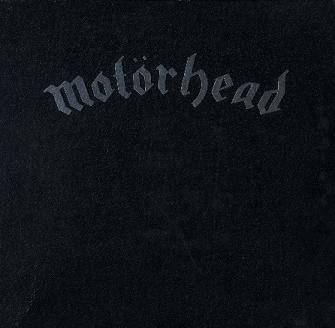 The front cover of the box is black with the Motorhead logo in silver. Here is an example of the content in one box: NSTH LP, European tour '81 Sweatshirt, 3 b+w press photos , a biography & press release plus some photocopied reviews, an interview tape, and two colour slides from AOS LP. Another copy had 7 pages interview, 3 pages biography, 1 page discography, interview cassette, 2 black and white photos, oversized playing card, 2 color slides, the 1st video release, AOS lp and St Valentine's 10" I've heard others had the 1st video release, and/or a tin of Motorhead beer (!) in them, some had the AOS LP instead of the NSTH LP, and not all had the Sweatshirt, the slides or the tape. I suppose they were distributed not only in UK but also outside of the UK. It would be interesting to know how many that were made. A few of them most likely have been split and all that remains is the box itself. 1 black Sweat-shirt, with discrete silver logo and “Europe 1981?. Size “S”. 1 over-sized Ace of Spades playing card, 210×135 mm, silver cardboard, with band biography on the flip side. 1 stenciled translation of above into norwegian. Light yellow paper. 1 stenciled discography, singles and albums, per country. White paper. 1 Bronze official “NEWS” sheet: “stop press”, stating “St Valentines Day Massacre” had reached #15 in the UK top 75 singles chart. 1 press info sheet, 2 pages, on the purpose of the “Motorhead Week” promo campaign the last half of february 1980. 1 VHS promo video, with the usual round-up of lip-sync’d extravaganza. Black cover with silver logo. 1 interview cassette, with all questions silenced out, ready for any local “interviewer’s” 15 minutes of glory. Lemmy jokes about Rockin’ Vickers and mentions Hawkwind, and how he “wanted to be the MC5?. Black cover with silver logo. 1 14 stenciled pages of transcribed interview from above cassette. 1 issue of UK music paper SOUNDS, dated February 21 1981. 1 issue of Norwegian music paper Nye Takter, dated March 18 1981 – post campaign. In September 2011 another copy was sold on German Ebay. The content was listed as "LP Ace of Spades , 10" Motörhead/Girlschool : St. Valentines Day Massacre , Zeitung "Sounds" vom 21. Februar 1981 , einige Seiten Bronze-info zu Motörhead , grosse Spielkarte mit Logo , 2 grosse Motörhead-Fotos , 2 Dias mit Bandfoto , VHS-Kassette Live 1981 und eine Audio-Kassette mit Interview 1981".